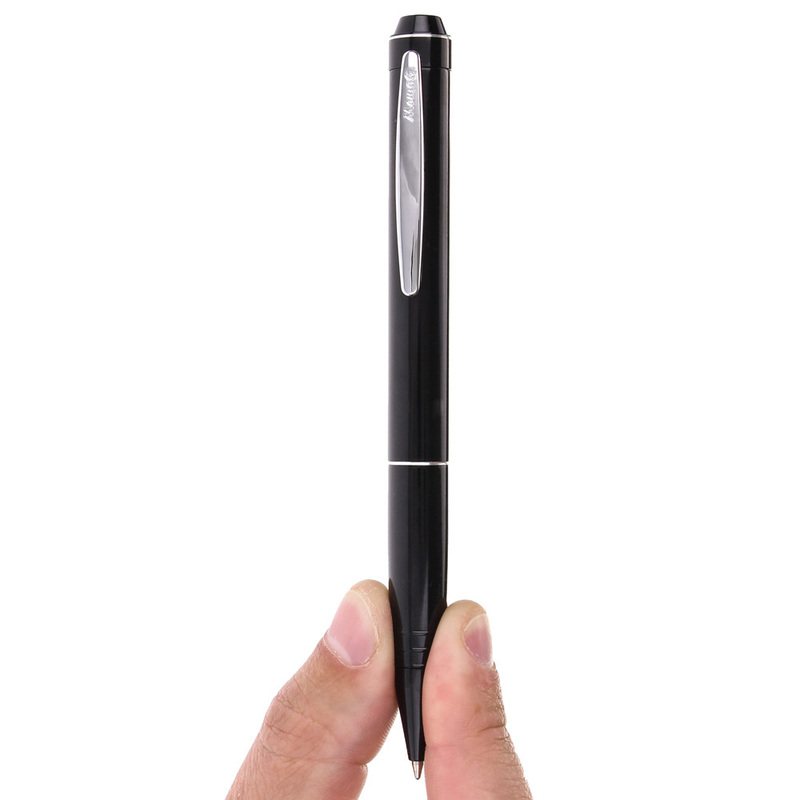 This is the slimmest and most discreet voice recorder pen on the market. 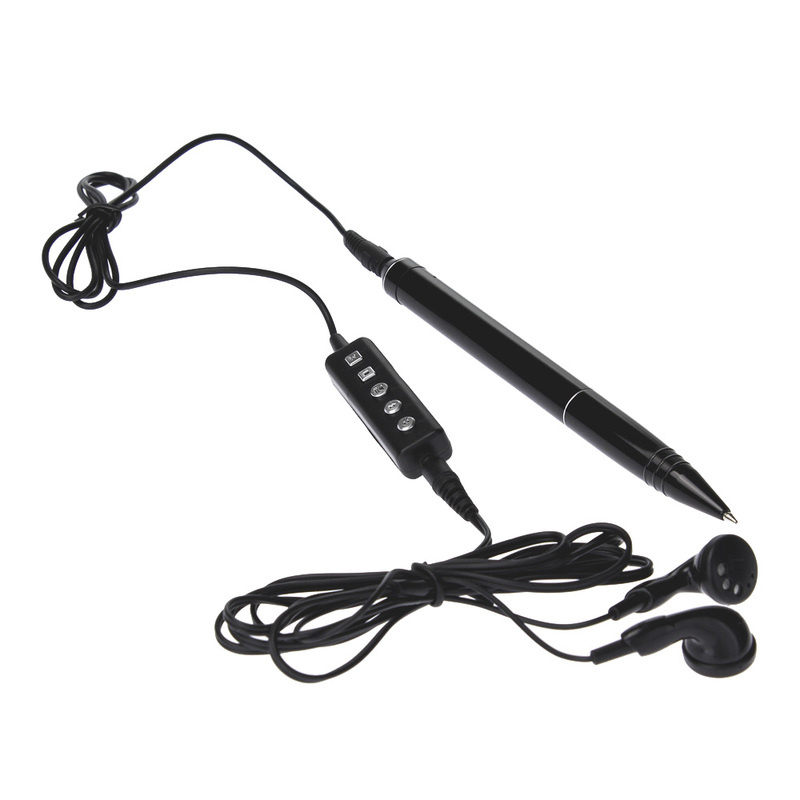 Introducing the newest version of our popular SL100 voice activated recording pen. 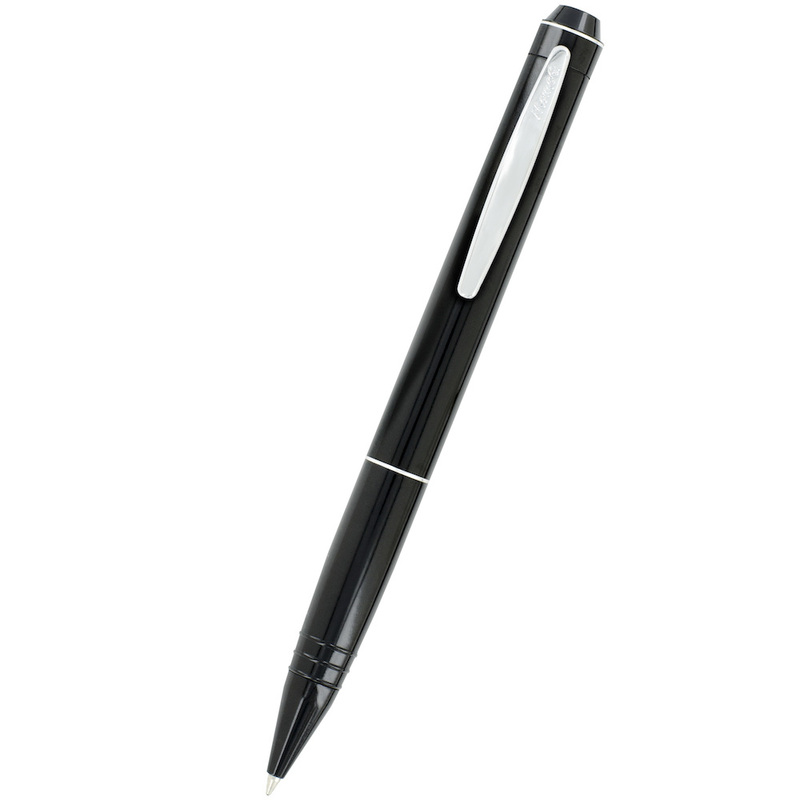 This is the slimmest and most discreet voice recorder pen on the market. 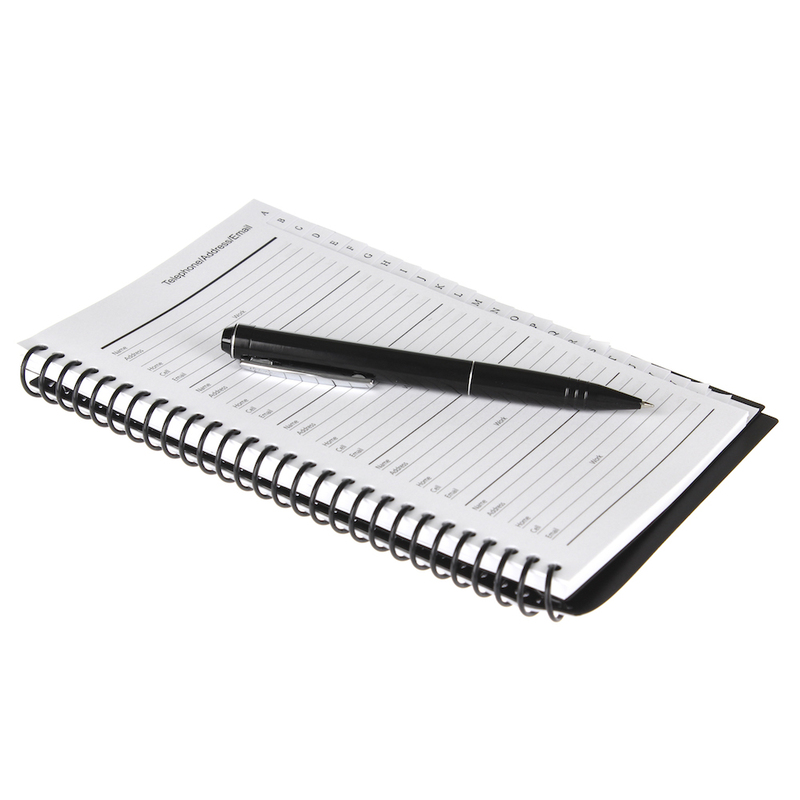 The SL100 recording pen writes with real ink and fits very comfortably in your hand making it great for meetings, lectures, and memos. 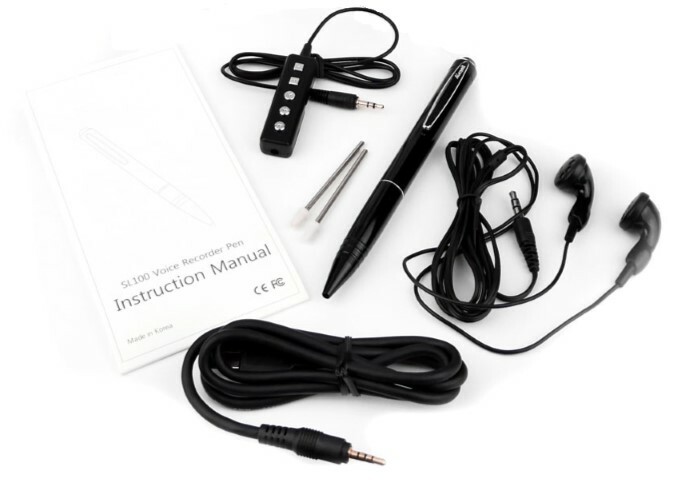 The recording function is super easy to operate; simply slide the pen clip down to start recording and slide back up to stop. There are no buttons, confusing lights, or sounds associated with operation. With the voice activation feature turned on you can set the pen to record only when there is audio present (the recording is paused during times of silence). 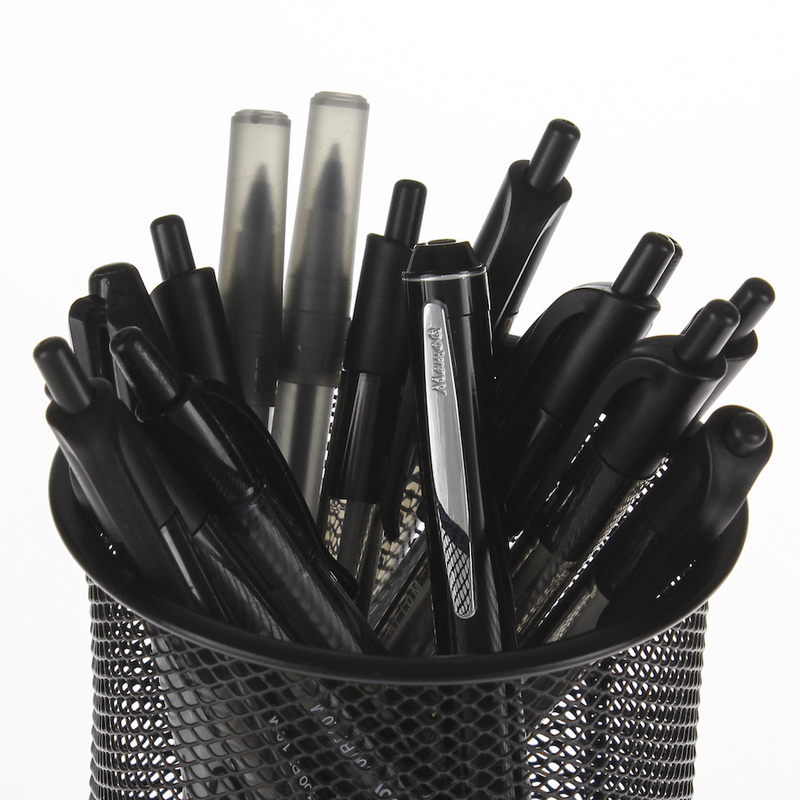 You can listen to your recordings from the pen by plugging headphones or speakers directly into the top of the pen or download recorded files to any MAC or Windows computer. This flash drive has a very sleek and professional design. Not chunky or cluttered with buttons and lights. Extra slim and small design. 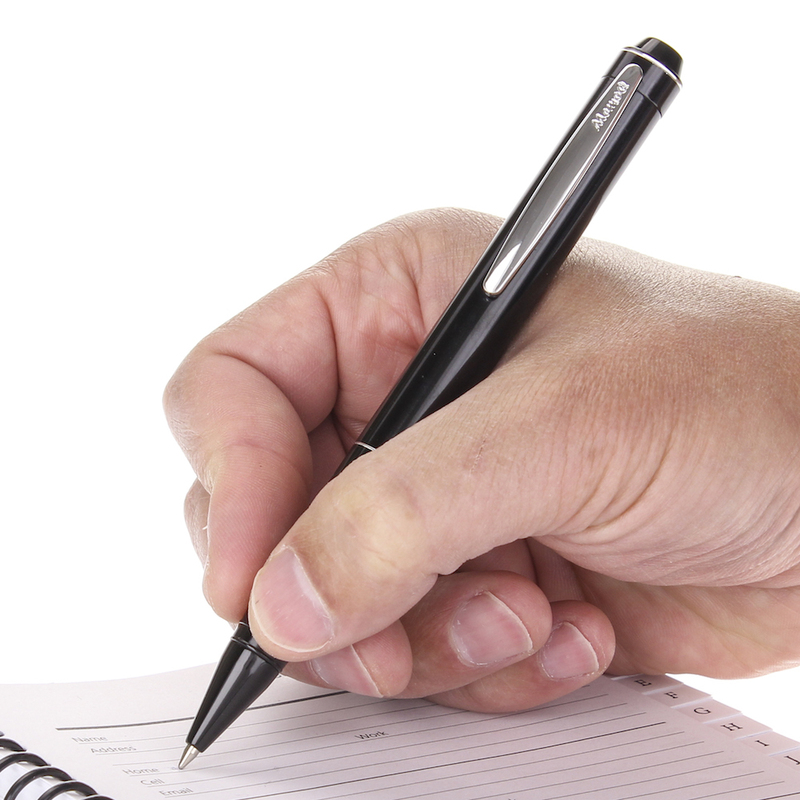 This is the slimmest, most discreet pen on the market. Listen to recordings with headphones or speakers. 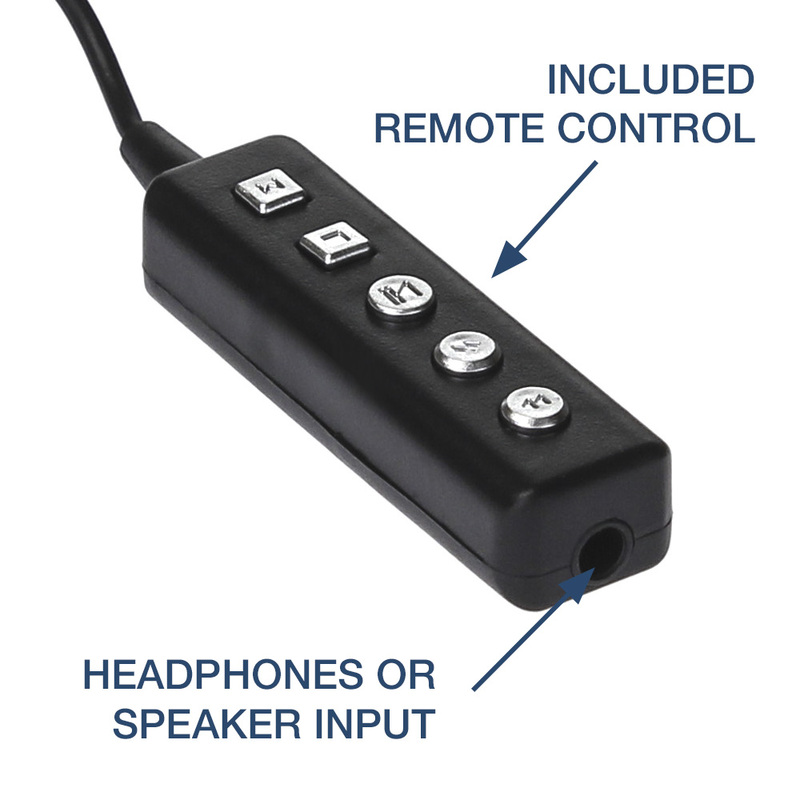 The remote control enables you to start/stop/pause/FF/REW. 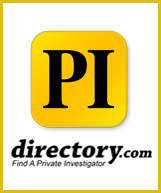 In Voice Activation Mode the device records when sound is detected and pause when no sound is detected. 12 Hour Battery - AMAZING! The longest battery life out of all the pens we sell. Just plug it in to any USB port to charge the built-in battery. You can also use this as a USB storage device. 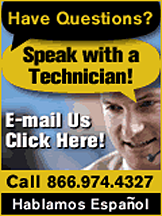 In addition to your audio recordings, you can store any files you would like. No confusing buttons. 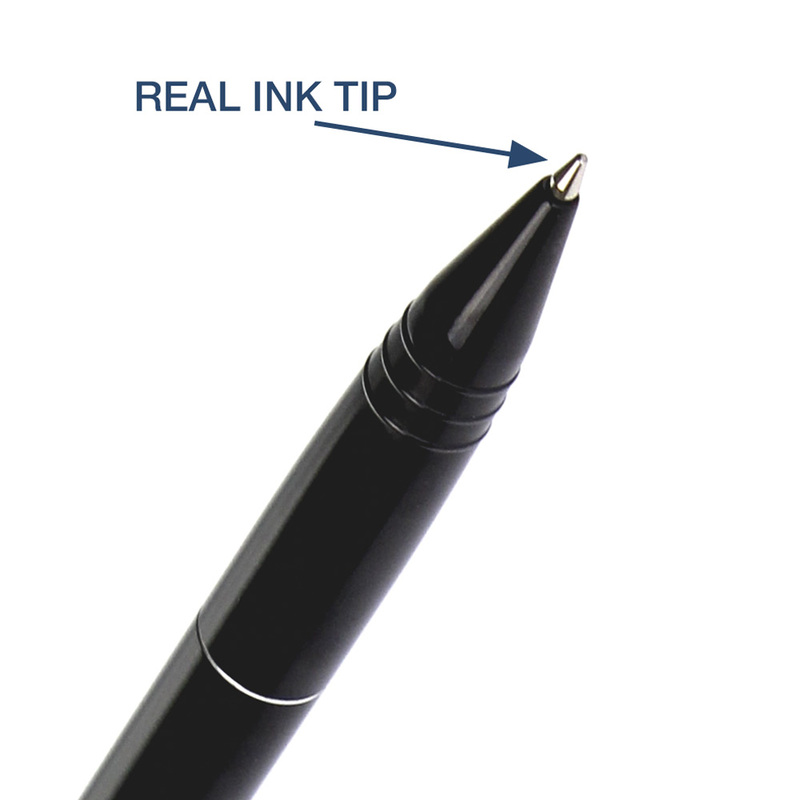 Simply slide the pen clip down to start recording and slide up to stop. Record in extra high quality, high quality, or long play modes. We personally recommend using extra high quality mode.